With three empty seats up top, former Nokia CEO looks set to take on greater importance at telco giant. 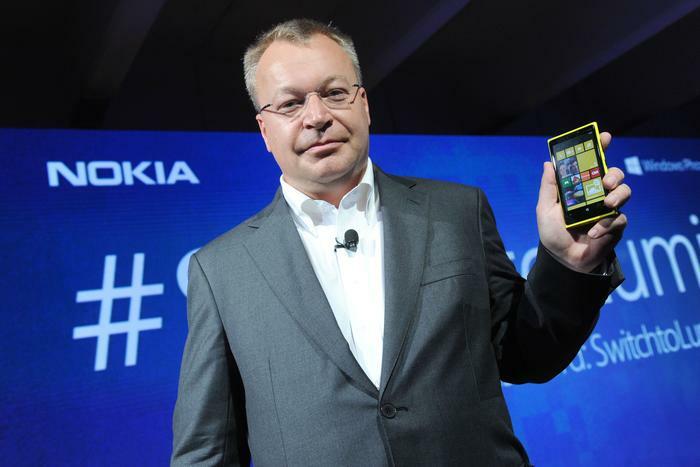 Stephen Elop is being widely touted to fulfil his potential as a top-ranking Telstra leader, with the former Nokia executive in prime position to shine following a spate of high profile exits. Within the space of three months, the telco giant has lost three key C-level executives, having watched CIO Erez Yarkoni, CTO Vish Nandlall and COO Kate McKenzie walk out of the revolving company door. In facing a near empty boardroom, attention now turns to the former Nokia executive, who joined the company in May in the newly created role of Telstra group executive of technology, innovation and strategy. Once touted at the next CEO of Microsoft, the “serial tech exec” - as labelled by Fortune - has held global executive stints at Nokia, Juniper Networks and Adobe, ensuring he is well positioned for greater responsibility within Telstra, as the company looks to increase its standing as the no.17 ranked telco in the world. “It’s not a natural move,” questioned Gartner research vice president, Neil Osmond, when assessing the likelihood of Elop filling a current void within the company. “How Telstra is structured today is that the CTO and CIO roles report through to Brendon Riley [Group Executive, Global Enterprise and Services], who is a peer of Stephen Elop. However, despite describing the potential appointment as “unrealistic”, Osmond accepted that given Elop’s credentials, a role of greater prominence within Telstra would "make sense" going forward. With multiple C-level vacancies, Osmond believes an ongoing opportunity for Telstra lies within realigning its business, appropriate for the company’s “new age” as a digital telecom company. “The catalyst for all of this is the "softwarisation" of network,” he explained. “As you move into the software defined world, the boundaries between network and software become very unclear. "Erez Yarkoni has been moving towards that kind of approach by focusing on an IT strategy based around APIs as are most operators around the world. Osmond said that currently, Elop’s holds a “fairly large umbrella role” leading innovation strategy, with an opportunity for Telstra to restructure in a similar manner to that of AT&T. As a global telco leader, AT&T created a “CTIO” role, merging together with technology strategy, which is headed by a chief strategy officer and president of technology and operations group. “This is maybe what Telstra will do with Elop,” he suggested. “I would expect the conversation to take place and Telstra may end up with a model similar to how Spark is structured now in New Zealand or like they have done at AT&T. “Both disbanded the CIO and CTO roles and now have an executive who runs a network connect organisation so it’s all about the connectivity side and the operations around that. While Osmond again accepts that it’s “unrealistic” for Elop to take on the CIO role in its current shape, with responsibilities crossing over into the COO’s environment, Telstra’s current circumstances could open a gateway for an internal restructure of the company. “I think if he did take on the role, it would be an ideal opportunity because there are two vacant positions in terms of CIO and CTO,” he added. Based on Elop’s extensive background operating within the US tech market, Osmond believes that if Telstra was to embark on the "softwarisation" direction, coupled with its ambitions to become a “world-class” company, then Elop fits the bill in terms of credentials. “Telstra is looking to leverage the extensive contacts and network that Elop has through Silicon Valley and the ecosystem that is surrounding the former Microsoft and Nokia world that he has lived in,” he added. 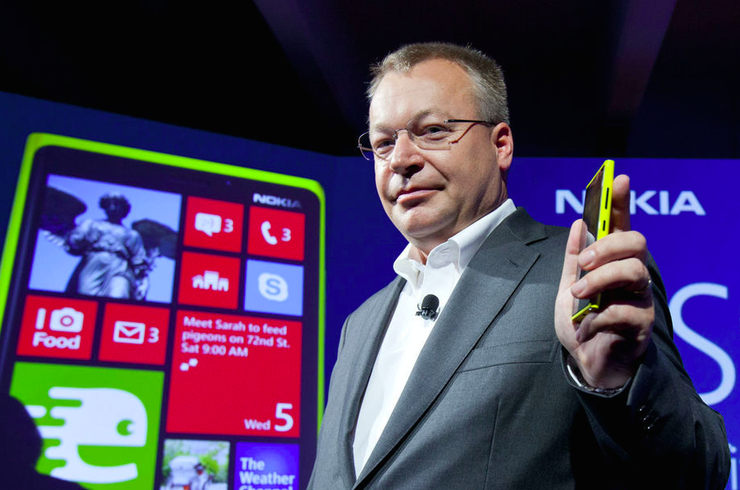 Yet is it enough for Elop to realise Telstra’s global ambitions? Despite Telstra’s key strength in being a “trusted brand” by the multinationals in Australia, Osmond said the company is not recognised on a global scale, particularly when placed against the likes of bigger players such as AT&T, Verizon and British Telecom. “As you push north globally, outside of Australia, Telstra is not very well-known,” he observed. “They are known as a telco player and certain acquisitions they have made has helped them to grow their portfolio, but they face well-established strong competition in developed markets who have greater strengths and breadths of portfolio than they do. “If you look at some of the other telcos who have global footprints such as Orange, BT, Verizon, they are much bigger than Telstra and they have a lot more horsepower and strength in partnerships. Following the controversial reign of American businessman Sol Trujillo as Telstra leader, Osmond expects to see a “cultural realignment” at the company should Elop be handed a new role higher up the corporate ladder, despite his Canadian background. Looking forward, Osmond believes that over the next 12 months, Telstra will make a lot more noise about exactly how the business plans to become a “services company”, stepping away from its traditional telco roots. “As always, there are a few moving pieces and I wouldn’t think that the organisation structure is embedded yet,” he added.